The Istituto Europeo di Design of Turin will present, at the International Motor Show in Frankfurt, (from September 12-25 2005), the restyling of the “X 1/99” model, a full scale concept car realised by the students of the Master in Transportation Design - work experience in co-operation with Fiat Auto and Webasto - which was presented in advance at the last International Motor Show, held in Geneva, in March 2005. The original project of “X 1/99” developed an innovative car convertibility concept, proposing a solution of multifunctional opening roof, realised with the contribution of Webasto. It was just the German company, a world leader in the opening systems, to believe in the potentials of the concept and to desire the development of the project in order to obtain a more functional and professional vehicle. “The particular interest of the public showed during the presentation at the Geneva Motor Show – says Mauro Ferrari, Managing Director of the Italian Webasto SpA, who followed the relation with IED for this project – convinced us on the opportunity to step forward mainly to show that it is not a pure concept but a solution with the great potentialities of a real realisation”. The charge to restyle the model was given to IED Automotive, the new professional centre of the IED of Turin, the natural continuation of IED education, made up of a team of professionals lead by the Chief Designer Hernan Charalambopoulos. 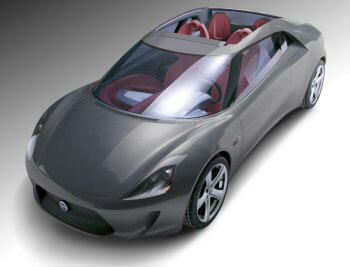 Even though the concept car has the same characteristics of the original model – a coupé-cabriolet, 2+2 seats, sport, versatile, multifunctional car, melting the characteristics of a city car and a cabriolet such as the practicality, the reasonable price, a particular appeal, amusement, playfulness – the advanced model of X 1/99 presents a restyling of its roof and interiors with innovative and interesting solutions highlighting also the actual realisation, in line with Webasto purpose. The roof (which changes in seats, when the car is open) has been actually re-designed in order to give the driver the total visibility by the back window in the open-car configuration; it was also introduced a wind deflector to regulate the air flow in the driver and passenger compartment; finally the back seats were reviewed in order to guarantee a greater security and comfort to passengers. Also the colours chosen for the new model – grey for the body, claret for the roof and the interiors – reveal its maturity stage and fit better a North-European public. 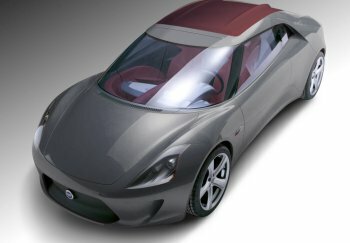 “The restyling of this concept car – says Cesar Mendoza, Director of IED Turin, who will participate to the Press Conference of Webasto in Frankfurt – shows concretely the interest and the quality of the original idea, joining creativity and functionality in the intelligent use of the car roof."